I am probably getting in way over my head here, but it looks like we may have a new pet project. 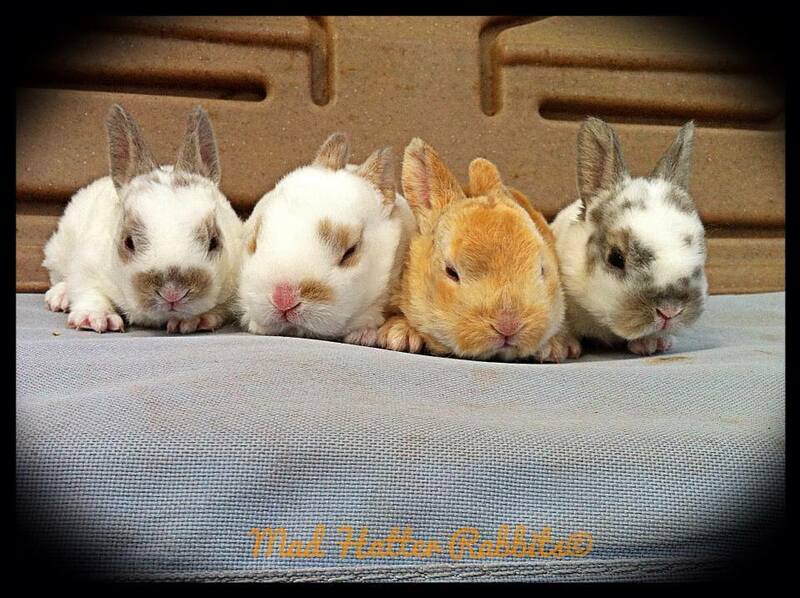 Our very first litter of mini Rex was born 19 days ago to a first-time mom, Inca and first-time dad, Bushy. They’re both broken, so the resulting litter is 100% broken coloring with many charlies as well. As they’ve developed they’ve caught my attention because their hair seemed to be… peculiar. 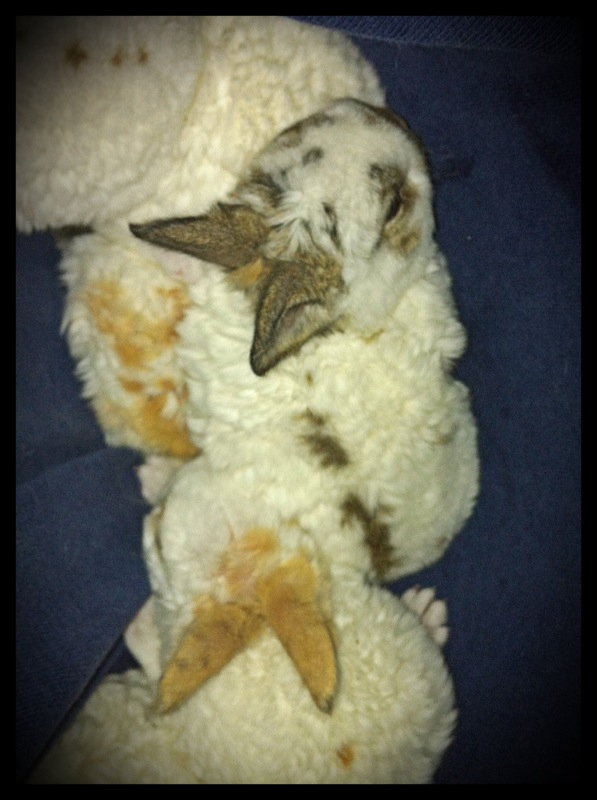 But it’s our first purebred Rex litter so I wasn’t sure what I was seeing wasn’t… normal. It appears this litter has gotten a full helping of the very rare Astrex gene. 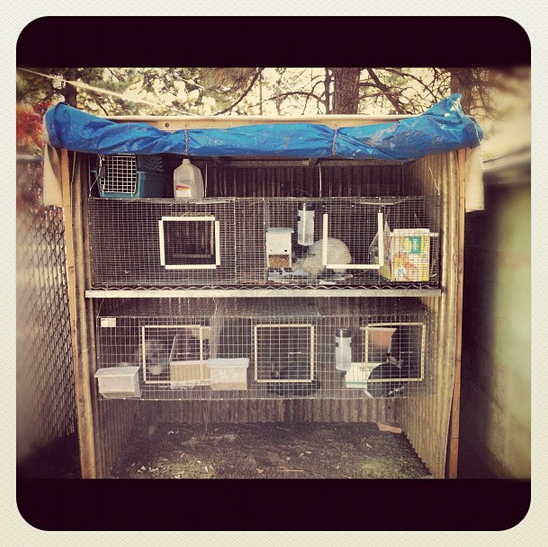 This fur type is not recognized by ARBA, so breeders of show rabbits who find it in their nest boxes typically cull. 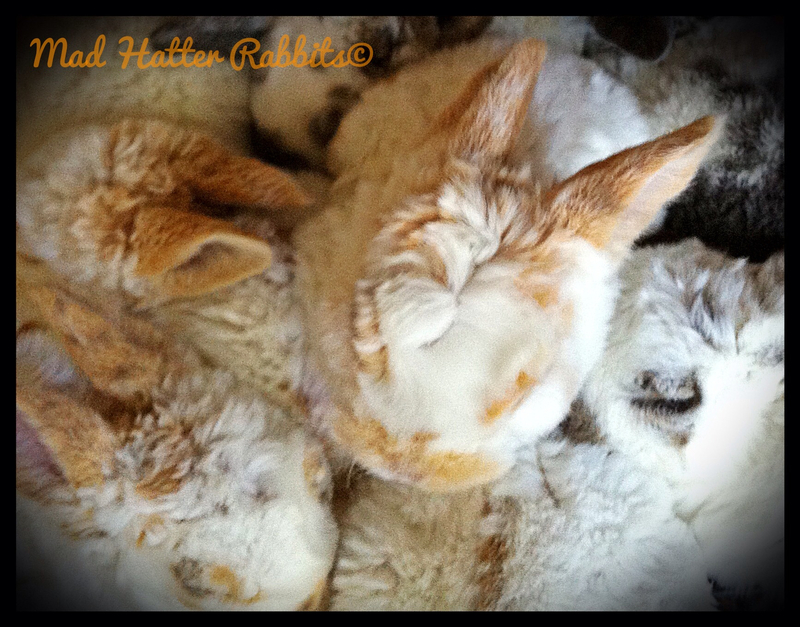 Also, the curl may not stick around through the baby fur and will molt out to normal… the parents of this litter are completely normal in their mini Rex fur, not a curl to be seen! I’ve been scouring the internet for information and have discovered a few people who are breeding specifically for this trait. 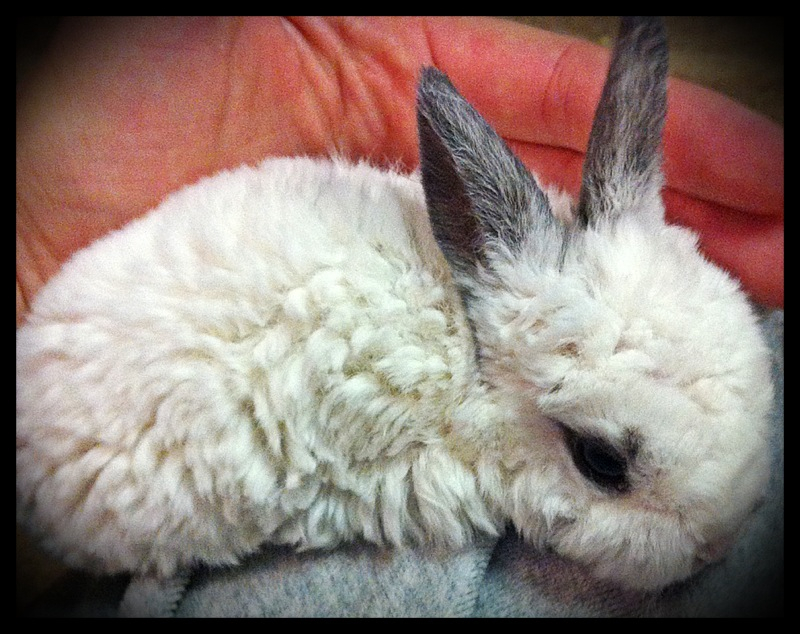 It can be found in several breeds besides Rex and mini Rex, also in Harlequin and New Zealand. 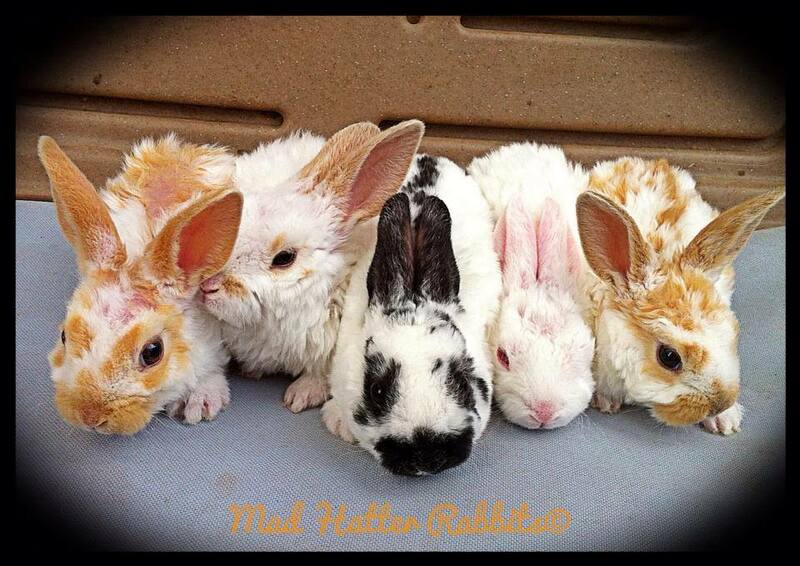 I’m trying to learn more, so if you, or anyone you know, has found curly coated rabbits in their nestboxes, please let me know! I’ve also created a Facebook page to further discussion on this topic. 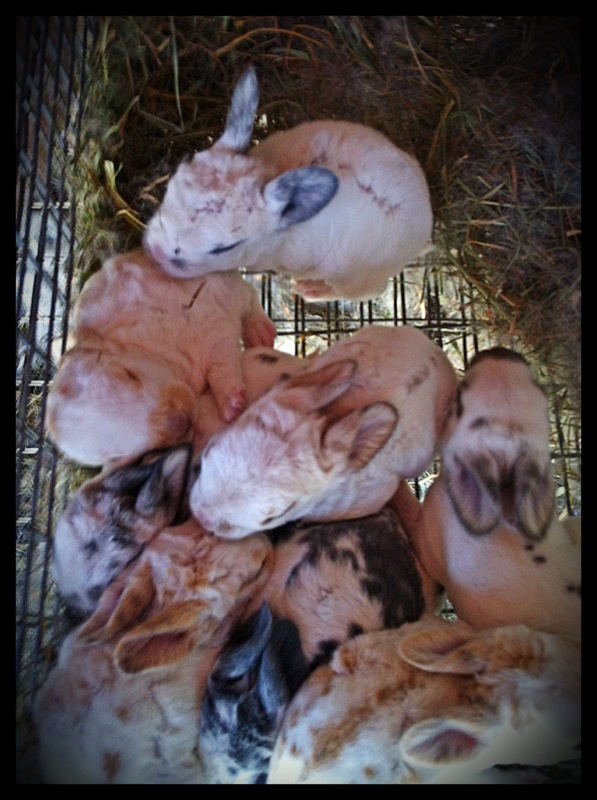 The big question around here the last few days is whether we will be adding to our mini Rex herd. A few months ago I fell head over heels in love with a chocolate otter buck named Dexter. The sight of him literally stopped me in my tracks! I hadn’t realized I loved chocolate otters until then, and once I saw it the first time, I was hooked. Otters are distinctive because they have a lighter color on the inside of the ears, on nose, around the eyes and running along each side of the tummy. After falling in love with Dexter we decided to pursue standard Rex’s with the hope of getting chocolate otters, and right now we have Durango growing up so when we breed him we will have our own standard Rex chocolate otters running around here! 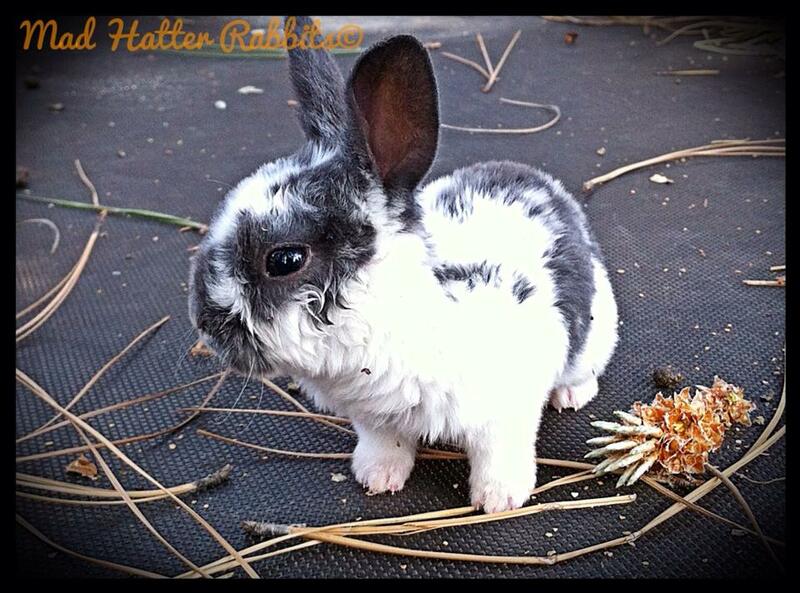 We need another mini Rex about as much as a punch to the gut, but this is Dexter we’re talking about! We’ve been going back and forth over cage space, long term plans, and such… and right now we’re leaning toward bringing Dexter home with us. Well, we went a’rabbit huntin’ this weekend. 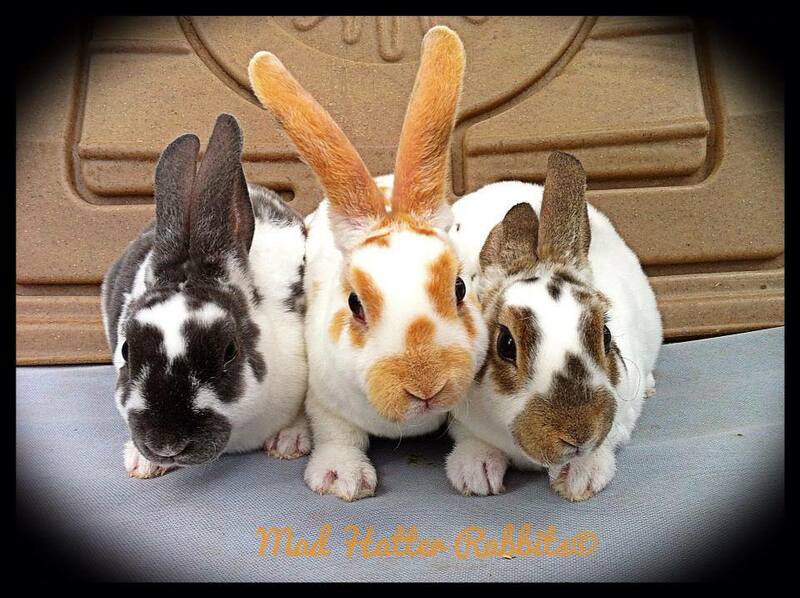 We intended to come home with a Silver Marten buck but due to several circumstances, including our very spoiled daughters, we ended up with Min Rex rabbits! We now have two does, two bucks who were born in August 2012. 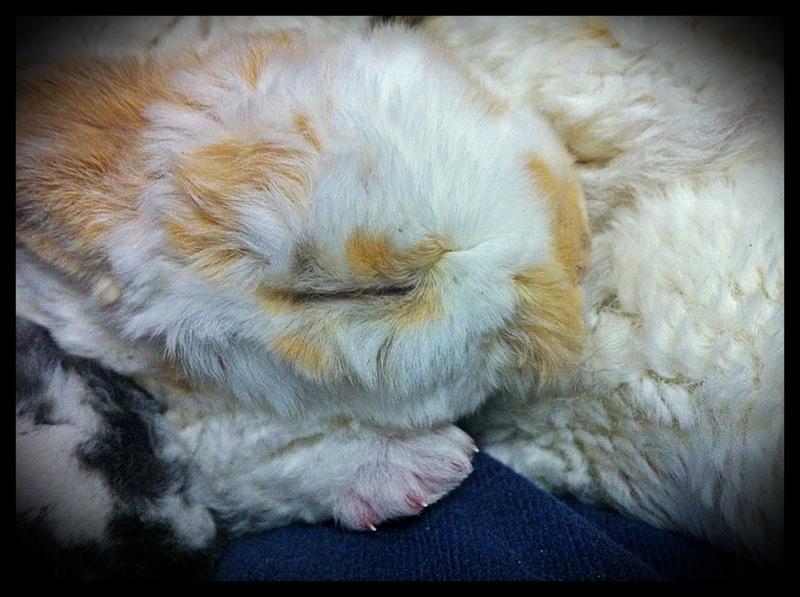 Almost got all of them in one picture, but Snowy was too quick for my camera! 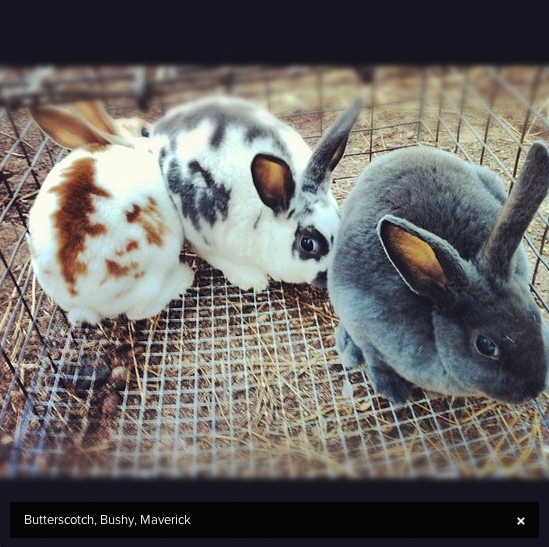 Butterscotch, Bushy, and Maverick one their first day at Mad Hatter Rabbits.